Medicine For The Dead: When Will People Learn That The Left Lane Is For Passing???? In Colorado the reason people drive in the left lane as the "normal" lane was quite obvious to me after driving here for a few years. The real reason is ignorance, but it's not just ignorant drivers on the road - it's the typical mindset and ignorance of the State itself. When on a 2 lane road merging to a one lane road, Colorado depreciates the right lane in 95% of cases - reinforced by signs indicating right lane traffic merge LEFT . This is exactly opposite of every other State I have driven in. 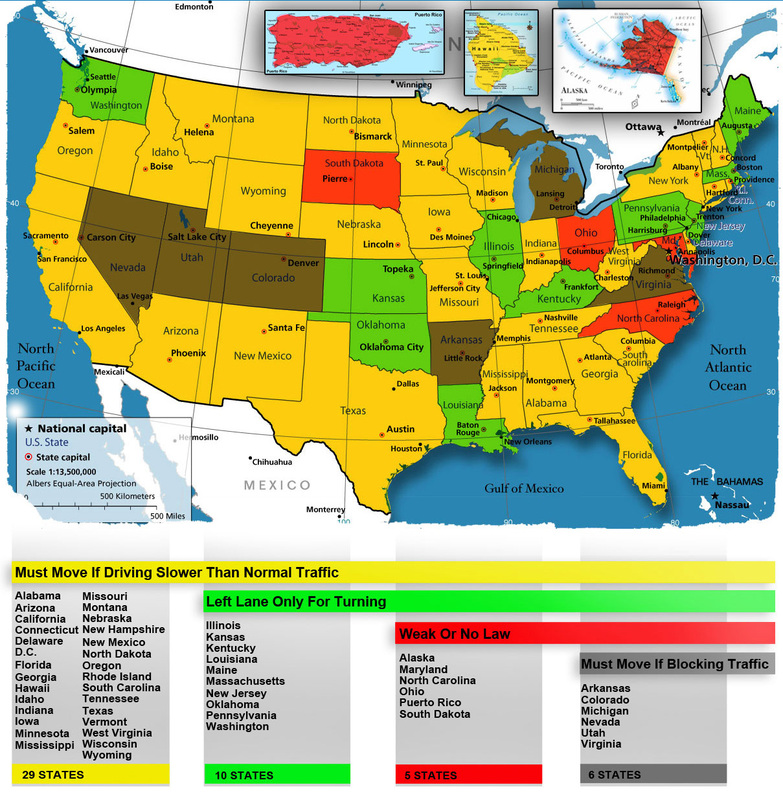 A majority of States depreciate the left lane when the same scenario exists. 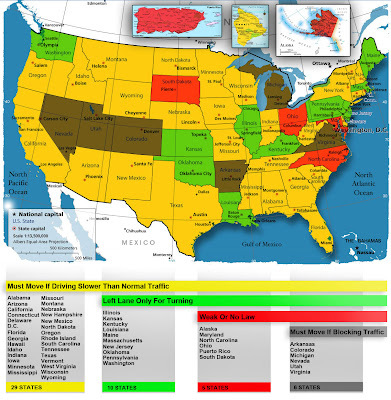 These states make the right lane the PRIMARY lane, which is the more logical and SAFEST scenario. By doing what they do, Colorado is educating the population daily ( my guess subconsciously) to depreciate the right lane AT ALL TIMES in favor of making the left lane PRIMARY. Therefore the LEFT lane MUST be the correct lane to travel in all the time. It's 1)nauseating, 2)dangerous, 3)the behavior of lemmings, and one of many reasons I really hate Colorado.